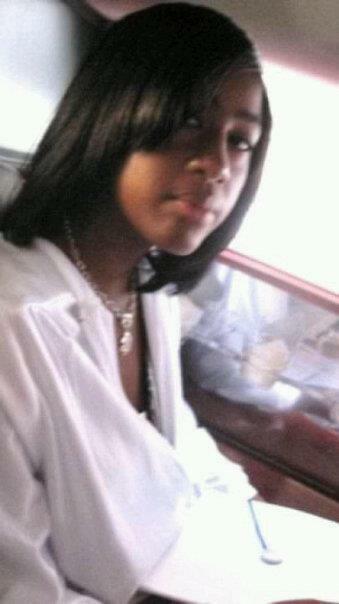 15 year old Brooklyn native, Michelle Owens has gone missing. Her father dropped her off at school on the morning of Oct 4th. She was dismissed and never got home that night. The police have been informed. Her father writes:”Owens michael:my daughter michelle owens went to school on oct-4-2011,wearing black & gray airmax, akademics sweat suit, gucci bookbag and a black derion leather jacket. Her school, boy & girls h.s, dismissed her @ 3;05 pm. My daughter has not been home since. As of 7pm she is reported as a missing person. Please if you see or seen her call me at (347) 705-2005. This is not a joke.”Michelle is not the kind of teenager that just disappears without informing an adult and she has no money on her. Her family is very worried about her.